Join Scott Tynes, CEO and Co-Founder of Consero Global will lead Main Street Hub CFO Brett Bowman, YouEarnedIt CEO and Co-Founder Autumn Manning, and S3 Ventures Principal Charlie Plauche in exploring these topics. Hear experts talk about how to best craft the story of your company around the Financials. Learn what data is important to investors and why. Learn how to position your company in the best possible light for investors. Scott Tynes is the CEO and Co-Founder of Consero Global, a Finance As a Service (FaaS) firm that helps CEOs and CFOs obtain better financial information, more scalability, and lower their back-office costs. Today, Consero closes the books for over 250 business each month through their SIMPL cloud-based technology platform, allowing companies to focus on their core competencies. Scott has more than 20 years of direct finance and consulting experience with companies ranging in size from emerging technology businesses to Fortune 500 companies, including IBM. Prior to founding Consero, Scott was a senior finance executive at Trilogy Software where he made significant improvements to the company’s financial forecasting process while leading the buildup and management of its finance and accounting operations. Scott earned an MBA from the University of Texas and a Bachelor of Arts degree in Managerial Studies from Rice University. He also sits on the board of the Austin Technology Council. Brett Bowman is a senior executive with more than 25 years of financial and operational management experience across multiple industries. Before joining Main Street Hub as Chief Financial Officer, Brett was CFO at Woot, an Amazon company and before that he held various senior leadership roles at organizations ranging from small entrepreneurial ventures to Fortune 100 companies. He also served as an officer in the US Army Corps of Engineers with decorated service in Desert Storm and Somalia. He has an MBA in Finance from Florida State University and a BS in Engineering Management from the United States Military Academy at West Point. Most recently, you may have seen the announcement that GoDaddy Inc. (NYSE: GDDY), the world’s largest cloud platform dedicated to small, independent ventures, announced it has entered into a definitive agreement to acquire Main Street Hub for approximately $125 million in cash plus up to $50 million in potential future earnouts. 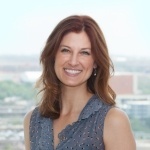 Autumn Manning is co-founder and CEO of YouEarnedIt, a leading HR SaaS company that improves bottom-line performance metrics by enhancing the employee experience. With a background in human capital management and expertise in enhancing corporate culture, she carries out the company’s vision to improve the lives of employees everywhere, one company at a time. Profiled in The New York Times and HuffPost, Autumn’s thoughts on culture and leadership have been featured in Inc., Business Insider, and Entrepreneur. Under her leadership, YouEarnedIt created the world’s most robust employee experience platform and was named to Entrepreneur Magazine’s list of Best Company Cultures in 2017. Charlie Plauche is a Principal at S3 Ventures. At S3, Charlie’s responsibilities include sourcing and evaluating investments, performing due diligence, and portfolio company management. Charlie currently serves on the boards of S3 portfolio companies Alkami Technology, Favor Delivery, Tango Health, and zlien. 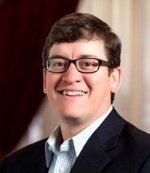 He also works closely with S3’s investments in Liveoak Technologies and TVA Medical. Previous board duties include Kimbia (acq. by GiveGab) and Pristine (acq. by Upskill). Prior to S3, Charlie was with Harbert Private Equity Funds, a subsidiary of Harbert Management Corporation. At Harbert, Charlie analyzed and structured leveraged buyouts in the healthcare and manufacturing sectors and assisted with portfolio management. He received his MBA from the McCombs School at the University of Texas in Austin and his BS in Finance from the University of Mississippi, where he was a Holmes Scholarship recipient and a Mississippi Eminent Scholar. This event features subject matter expert speakers addressing best practices, problem solving, and thought leadership in a confidential environment. The discussion-style event allows executives to freely exchange ideas and experiences, have open discussion on emerging trends, issues, and new market opportunities, and promote research that facilitates the advancement of the industry. The event will be held at Z’Tejas downtown and free valet is provided to those who register.